At Gospel Community Church, we want to know the Bible and share life with others, bringing hope to Fayetteville and the world. - When we say knowing the Bible, we mean treasuring it, loving it, and valuing it deeply! - When we say sharing life with others, we mean entering into meaningful relationships with other believers and non-believers. - When we say hope, we mean confidence that God is working all things together for the good and will ultimately fix everything that is broken. Church vision should be understandable, memorable, and transferable. 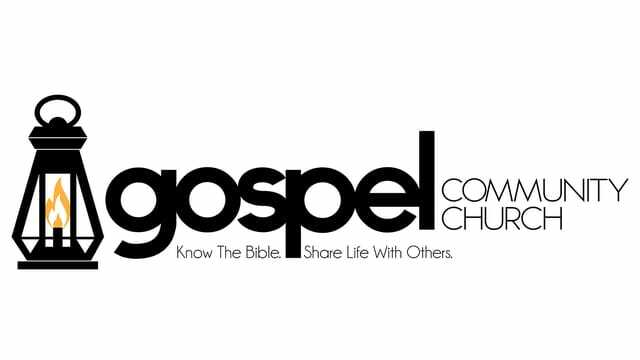 We envision the members of Gospel Community Church building their lives on the Bible’s blueprint. Our desire for 2018 is to see 75% of our members consistently building their lives on the Bible’s blueprint. We believe that as a result we will know the bible, share life with others, and that will bring hope to Fayetteville and the world. Ultimately we will experience exponential growth spiritually and numerically.